Is your owner taking you to any of these dog events? DogFest, Dogs Unleashed, Windsor Championship Dog Show or Paws in the Park? If not you should have a bark with them and plan a trip this summer.They are lot of fun and provide opportunity for great shopping, meeting other furry friends and also collect some good advice about the pet health and care. If you come get taken for a trip to DogFest in Hertfordshire, come and find us as we are bound to have some tasty treats for you and lot of stylish collars to choose from. 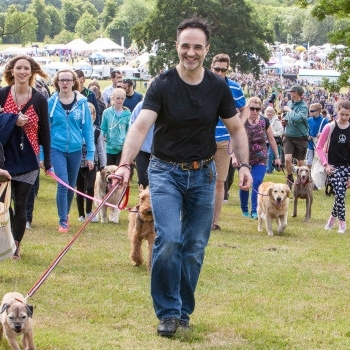 DogFest - Cheshire is UK’s Summer Festival For Dogs a fun-filled, action packed day for you and your dog, hosted by Supervet Noel Fitzpatrick. DogFest- Hertfordshire is UK’s Summer Festival For Dogs a fun-filled, action packed day for you and your dog, hosted by Supervet Noel Fitzpatrick. Windsor Championship Dog Show- enjoy a Summer's day out under the ramparts of Windsor Castle, on the banks of the River Thames at the Show often described as the Summer "Crufts". Paws in the Park- Dogtastic days out for you and your dog! 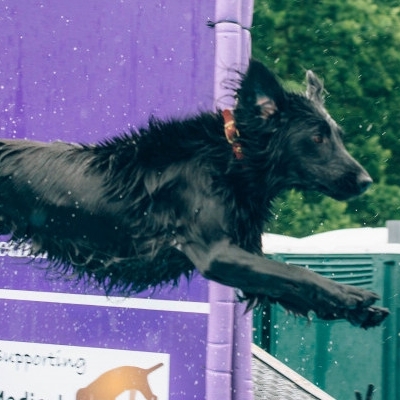 This is Britain’s favourite fun dog show, with lots of dog games and activities to try including flyball, canine search and rescue, and dog agility. Enjoy a weekend packed with superb arena displays and entertainment, exciting dog activities to try, plus superb shopping for your furry friends. It's a pawfect day out with the kids too!